Columbus Percussion (also known as Columbus Pro Percussion or CPP), in its current location (5052 North High Street in Columbus, Ohio). We specialize in the sale of new and used drum sets, and are here for all your drum and percussion needs. Founded in 1981, Columbus Percussion has served the central Ohio community by providing drums and percussion to musicians of all ages. Looking for our location and hours? Open 10-8 M-F, 10-6 Sat, Closed Sun. For a map and more information, click here. Looking for a drum shop with a knowledgeable sales staff? Look no further. With courteous and experienced professionals, you can trust that our sales advice will match your needs for the right gear. Our staff is always available to help everyone, from beginners to educators to working professionals. Our in-stock selection is unparalleled. We have something for everyone, even if you've never played a drum. We have an enormous selection of cymbals on our "cymbal wall". High-end drum kits, hand made African drums, and limited edition snare drums are just a few of the wide range of products we offer. 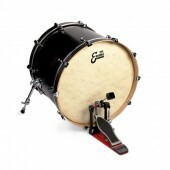 We also offer our exclusive Lifetime Labor Warranty on all drum sets. With the best in-store full service repair shop in the Midwest, we repair, wrap, and even build drums. Columbus Percussion has made and repaired drums for Prince, The Ohio State University, and hundreds of schools and working professionals. Sometimes an inspiring new kit is just a wrap away. At Columbus Percussion, our outstanding teaching staff of professional drummers are well versed in all styles of percussion to help students of all ages. Whether you're a beginner or looking for some more advanced studies, we can help you reach your musical goals. Over 170 lessons per week are taught in our five fully equipped studios during business hours. Columbus Percussion offers in-store clinics, private lessons with visiting artists, and our annual "Drum Daze" - one of the largest clinics of its kind in the country. Featuring some of the biggest names in drumming, Drum Daze offers a full day of clinics and performances at the beautiful Capitol Theatre in downtown Columbus. The event is invaluable for its sharing of knowledge, insight, and entertainment, as well as a chance to meet and interact with the best. A World of Percussion Since 1981. Columbus Percussion has been meeting the needs of the local, national, and international percussion community, growing into one of the largest and most comprehensive percussion specialty businesses in the world. 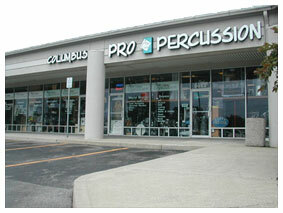 A true percussion center, Columbus Percussion is geared toward professionals, schools, students, and instructors. 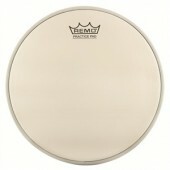 We offer the best in drum sets, marching, orchestral, and world percussion. We also have a vast array of accessories for every application. Columbus Percussion is noted by local musicians, traveling professionals, and nationwide customers as a center for personal and professional service. To all of you, from all of us at Columbus Percussion - Thank you and God bless!